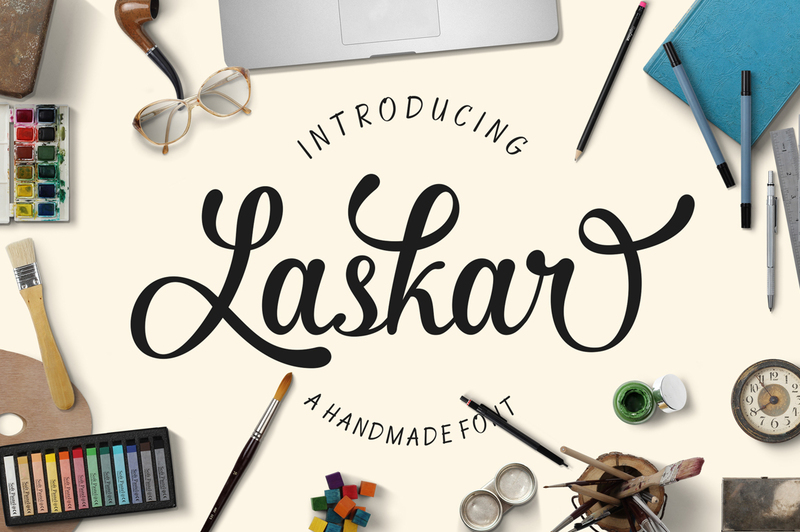 Laskar is a is a dual brush and script font created and published by Graptail, an Indonesian based type studio. Featuring 2 styles, Script and Regular (that are actually a brush font and a script font) Laskar is equipped with plenty of OpenType features like Swash, Ligature, Contextual Alternates and Stylistic Alternates. Get two useful fonts with Laskar! A font description published on Wednesday, May 25th, 2016 in Fonts, Graptail by Andrei that has 2,957 views.